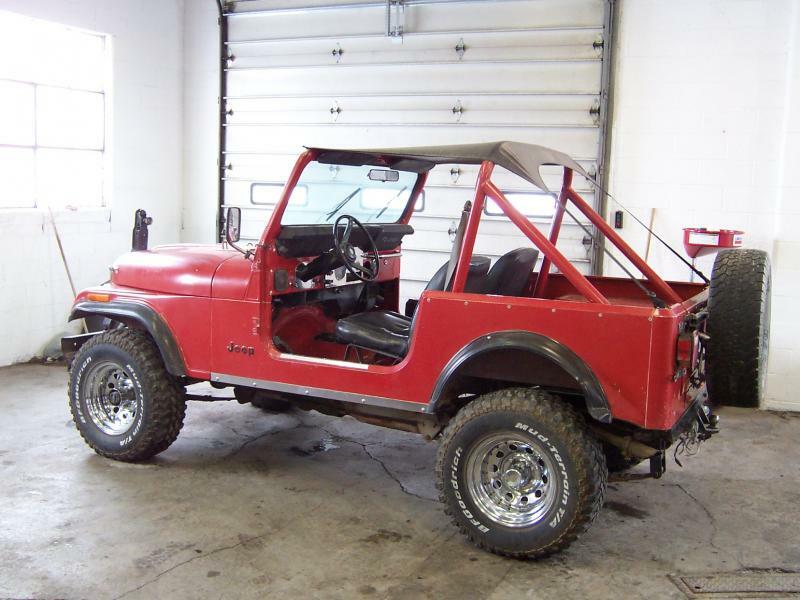 These 2 rot free CJ7 Jeeps just came in and need all the typical little things done that take time. Things like bringing back the shine to the paint or tweaking a choke etc. Before the time goes into them, here they are for local sale. As time passes, we will be putting time and money into them and the prices will go up as needed to cover costs and potential reached. SOLD 2/6/11 The Blue 84 has about 4" of suspension lift, VERY strong AMC 360 V8 with goodies on it like Edelbrock intake and carb and flowmaster dual exhaust. It has a new power brake booster. HD bumpers, towing points, power steering. It is a 5 speed manual transmission. It has a Ramsey winch with remote, offroad lights, 4.56 gears with a Detroit Soflocker in the rear w one piece axles and a Trutrac in the front, locking tool boxes and console, cd player and under seat storage. $7500 with 2 new front seat or $7000 with seat in it now. This Jeep would cost well over $12k to build! Known issues: Passenger wiper broken and needs a weld on the w-frame. Clear coat is peeling in spots and driver's seat has one torn mount. The Red 84 has the most potential for improvement and lowest price as it includes a $3000 receipt for a crate 258 engine with a Weber on it and it runs like new with a best of the era T176 4 speed manual transmission. Initial buffing on the mostly original paint looks VERY promising! It is going to need seats and some paint work as it is faded to primer in places. The tires are ok and it need simple brake work. No top with this one at this price but I do have some available. 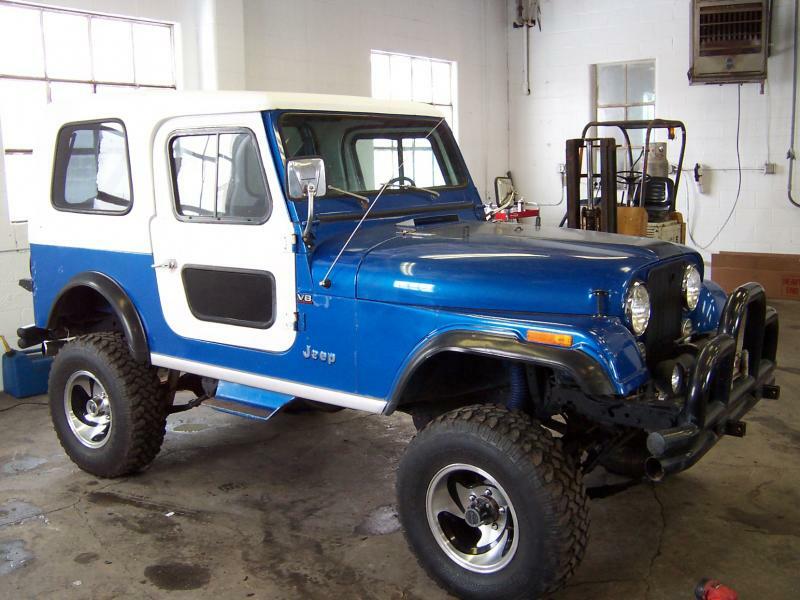 Only $5500 for a rust free CJ with a crate engine!